Terrazzo toilet partitions are the most sought after material nowadays. Almost all bathroom projects consider this material due to its beauty, toughness and easy maintenance. In this article, Terrazzo Australia will be sharing its experience using these partitions. We will discuss why many Australians are using our systems for their projects. This is the most popular line of terrazzo toilet partitions being offered by Terrazzo Australia. 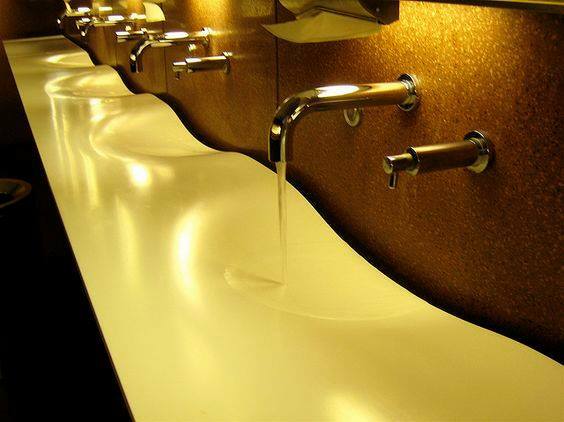 San Marco Stone is perfect for vanities and urinal screens to complement to any partition installation. Many of our partner architects and engineer regard this as a very remarkable product for their works. What Makes This Terrazzo Toilet Partitions Special? * Durability– The terrazzo toilet partition is around 30mm thick. This makes the San Marco Stone extremely strong and durable. Throughout the 7 years we deployed that this has been deployed to the market, we haven’t replaced any panel at all. * Clean – The material used is completely smooth. It has almost a glass-like surface that no mould and bacteria can grow on. * Waterproof – this terrazzo toilet partition thrives in moisture. It doesn’t leave grout or stains when water is applied to the partition. This makes the material easy to clean and maintain in the long run. * Vandal proof– if you are operating a public toilet, you will love this particular property of San Marco partition. Stains from Pentel pens or paints can be easily removed. You can use any suitable solvent (use solvents that are not acidic and have a PH value of 5). It leaves no residue when being cleaned. * Scratch proof– unlike other partitions, the terrazzo toilet partition is made to resist scratches. This is very beneficial to home owners and business establishments. Scratches often lead to grout. It also makes the toilet unpleasant to the eye, making it appear unmaintained. * Warranty– anyone who avails this terrazzo toilet partition can enjoy a 10-year warranty. Terrazzo Australia will furnish a written guarantee against defects due to improper and/or defective materials and/or workmanship. You can have a peace of mind with your bathroom project. What are the processes when deploying terrazzo toilet partitions? * First step would be to engage Terrazzo Australia and come up with a layout from the team. * Next step is to choose a colour for the terrazzo toilet partition. The team will provide you with color palettes so you can decide which ones you like. You have various tones and textures to choose from. Each can be aligned for contemporary, urban or modern interior themes. * The fourth step is to choose the type of door. You can choose a laminated door, solid core timber or compact laminate ones. Each door has its own pros and cons. Make sure to check which fits well for your project. * Last would be to select the correct door furniture. The team highly recommends Metlam to compliment your terrazzo toilet partitions.